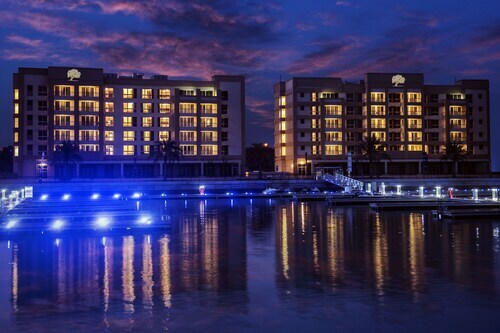 really comfortable, well-priced, conveniently situated in RAK. Great for a weekend stay. Magnifique hôtel... un peu loin de Dubai mais au calme et accueil parfait! 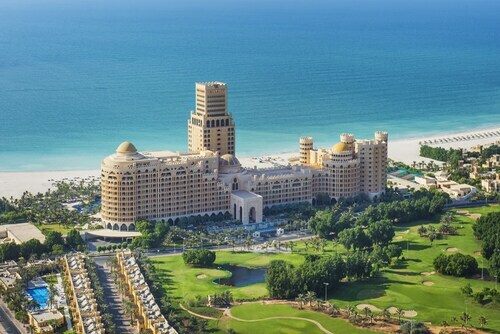 So, you're thinking about a trip to Ras Al Khaimah? If you'd like to find accommodation that's within a stone's throw of the sights, you can enter your holiday dates and then use the filters next to your hotel search results to find somewhere to stay near the area's attractions. 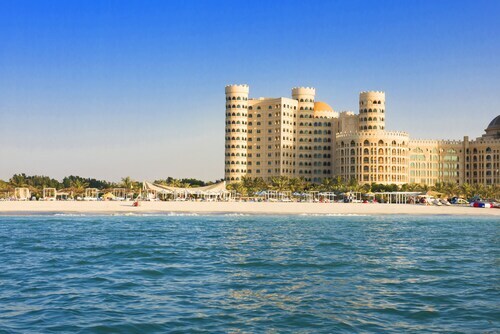 You can choose among 42 Ras Al Khaimah hotels and accommodation choices to find a place you'd like to stay. 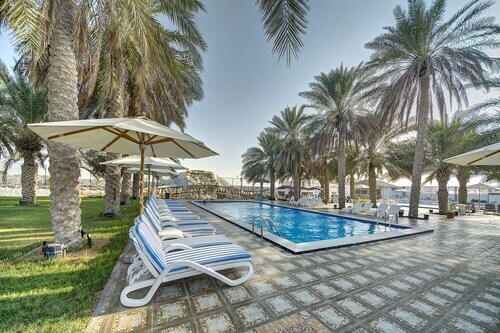 When you're thinking about where to stay in Ras Al Khaimah, you can easily and quickly search ebookers for hotels offering services such as high-speed Internet, free airport transport or a swimming pool. You can take advantage of the filters to narrow down your search for accommodation, so you can get the services that are important to you, such as air conditioning or an in-room kitchen. When arranging your Ras Al Khaimah getaway, you can also use ebookers to find a convenient flight into Ras al Khaimah (RKT-Ras al Khaimah Intl.) Airport. You can narrow down your search by number of stops, airline or time of departure to find the one that'll work best for you. 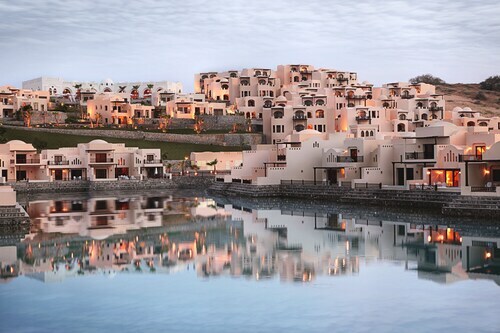 When is the Best Time to Explore Ras Al Khaimah? If you're curious when is the best time of year to travel to Ras Al Khaimah, you may find this information about seasonal weather useful when you are planning your trip. The warmest months in Ras Al Khaimah are typically June and July, whereas the coldest months are usually January and February. The months with the most rain are January and April, whereas December and January have the least. From January to March, the average daytime temperature is 32°C and at night it is 11°C. Seasonal average rainfall is 3 mm. The average annual rainfall in Ras Al Khaimah is 3 mm. -Hotel sicher nicht 5 Sterne , -Personal sehr freundlich. -Mit Kindern nicht unbedingt geeignet. - viele Quallen im Wasser. The staff here very friendly and amazing, even when they are busy they stop and talk to you. The rooms are clean and comfortable, with two choices of types of pillows (hard and soft). The adult pool is amazing, and a little calm from the children. The christmas celebrations were lovely, with a santa stocking filled with cookies and an orange from the hotel, and in the evening we had crackers. The food was good and lots of choice, the a la carte restaurants did not do so much for vegans (although the chef was willing to try) but I preferred the variety of the salad and vegetables. The gym was a good size to have a decent workout. Mukava henkilökunta, hyvä palvelu. Huoneet siistit ja isot. Hotelli aivan upean rannan vieressä. Lyhyt kävelymatka ostoskeskukseen josta löytyy hyvä ruokakauppa. Ruoka ja juomat hotellissa kalliita jos ei all-inklusive. It was great. Nice place. Villa needs more maintenace and more decoration inside to make it more enjoyable.